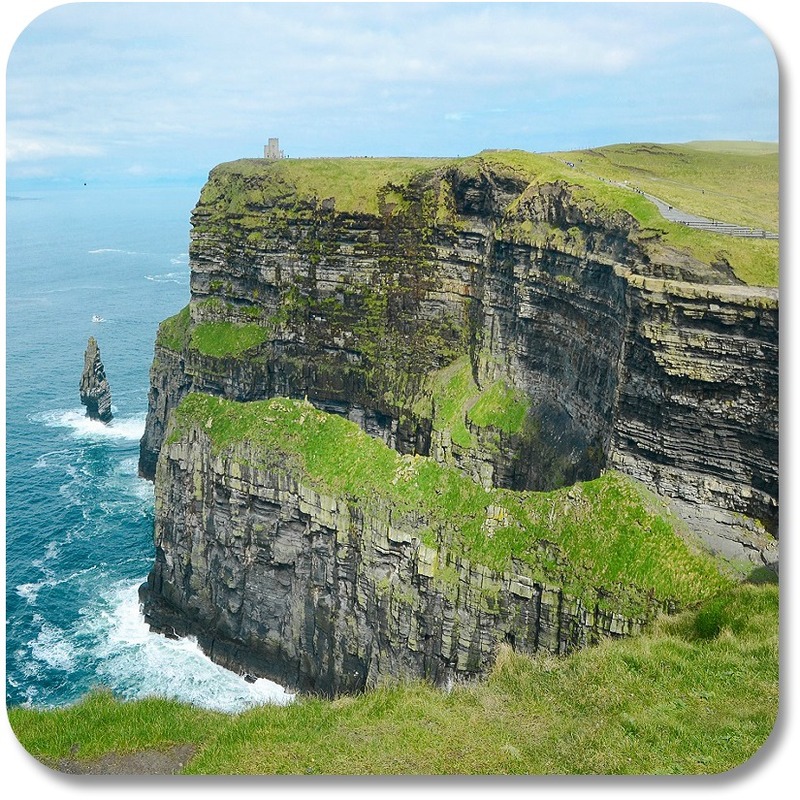 Ireland sightseeing is one of the best ways to explore your Irish side. The good news is – travel is NOT required (although it is highly recommended :-)! 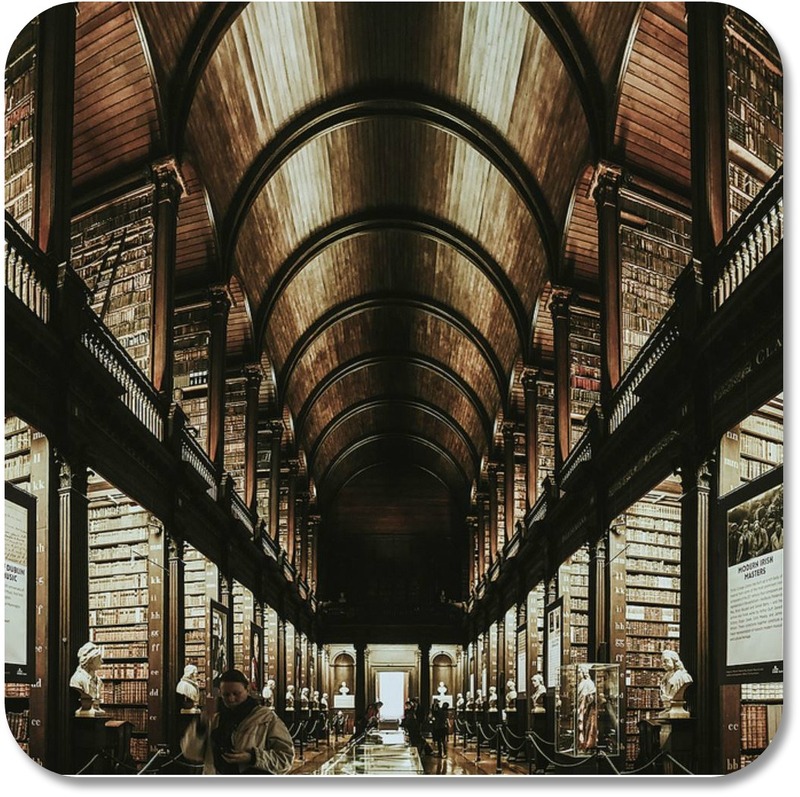 At Irish Expressions we do enjoy visiting Ireland - but we also take time every day to do a bit of virtual sightseeing - through pictures! My home is filled with images of Ireland, which helps me to stay connected to the Emerald Isle even when it is not possible to travel. And every once in awhile, my search for amazing pictures turns up a new 'must see' landmark to include in my Ireland travel plans. Here are some favorite images, a few key facts, and useful travel tips about 10 of the most amazing things I have seen in Ireland. A score of 8 or higher is a sign of a well-developed Irish side! A score of 6-7 is pretty good! You are probably the life of the party on St Patricks Day! A score of 0-5 means you should brush up on your knowledge of the Emerald Isle! Ready for a personal Ireland sightseeing tour? 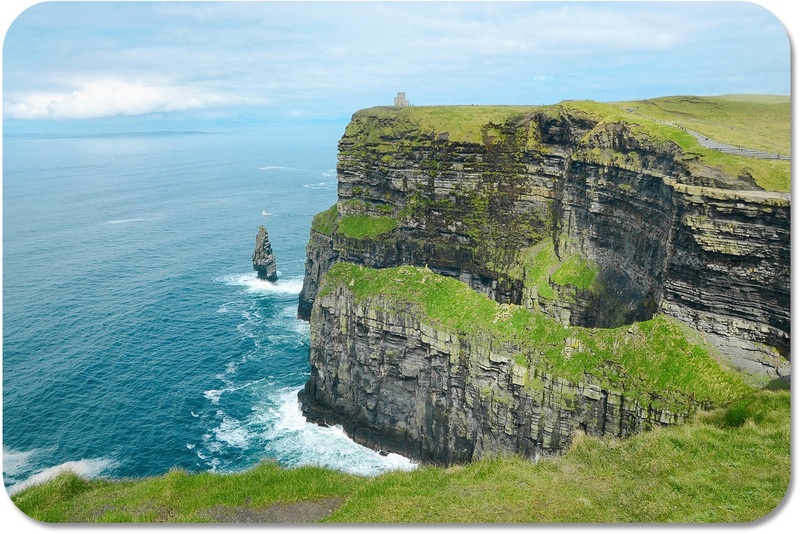 Below are our top 10 choices for landmarks in Ireland that are not to be missed. And remember - these days it is very possible to explore 'virtually.' So while travel is highly recommended, it is definitely not required! This is one of the most beautiful (and most photographed) locations in Ireland. It is also the most visited natural tourist attraction on the Island. Due to its popularity, it is important to plan your visit carefully. The centre regularly closes due to overcrowding. Click on the image for more information, pictures and tips on the best ways to enjoy this lovely Irish landmark - travel optional! Another iconic stop on any Ireland sightseeing tour, Blarney Castle offers beautiful scenery, magical history, and - of course - the legendary Blarney Stone. Millions have flocked to Blarney Castle to kiss the Stone of Eloquence, because - as legend would have it - one kiss, and you'll never be at a loss for words. 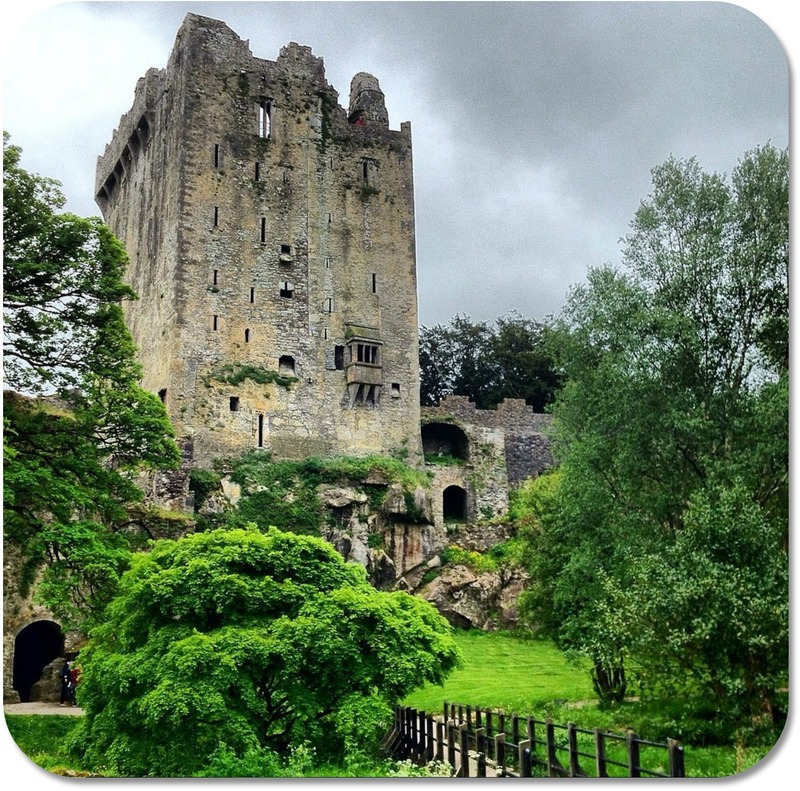 Click on the image for pictures, information, and tips on how to enjoy Blarney Castle - travel is optional! 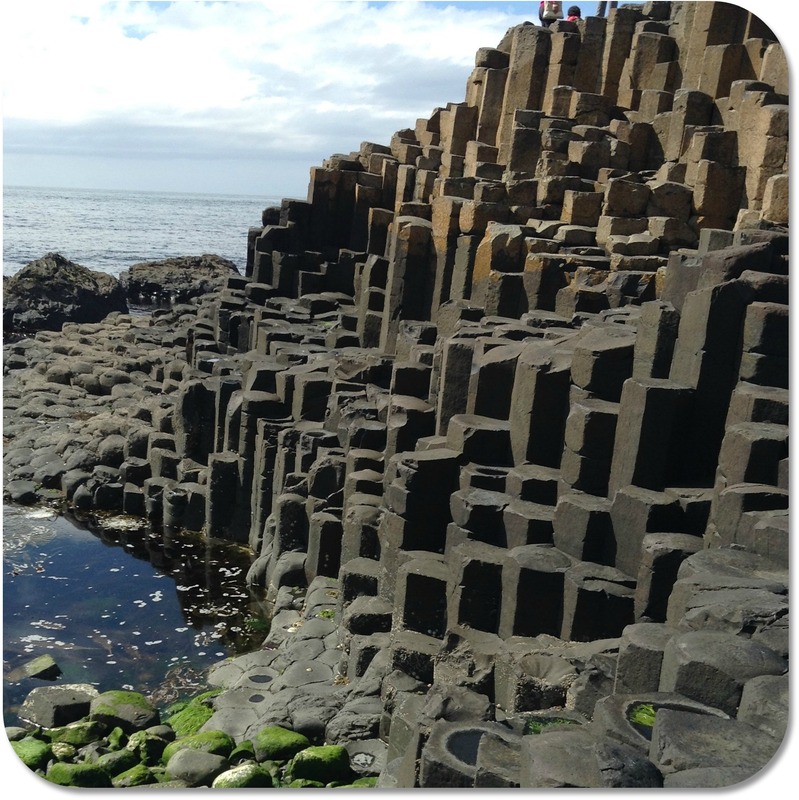 Pictures definitely DO justice to these amazing basalt columns, stretching mysteriously toward Scotland from the coast of Northern Ireland. What are they made of? Where did they come from? What is the famous legend that explains the mysteries of the Giant's Causeway? Click on the image for answers to these questions and many more! It's a bird, it's a plane ... no, it's one of the most ancient written manuscripts in human history - the book of Kells! Proudly displayed in the Old Library at Trinity College in Dublin, this Book is 680 pages long (and unfinished) and over 1200 years old. Do not miss the amazing book of Kells. Click the picture for more information and tips on how to enjoy it ... once again, no travel required! Older than the pyramids in Egypt, the incredible monument at Newgrange is a testament to the ingenuity of ancient times. At the same time every year, at the moment of the winder solstice, a beam of light illuminates the interior of this amazing structure. I KNOW - hard to believe. If you would like to know more, click on the image. This amazing location is marked by a simple sign on the M6 going west from Dublin. It would be easy to overlook - but don't! 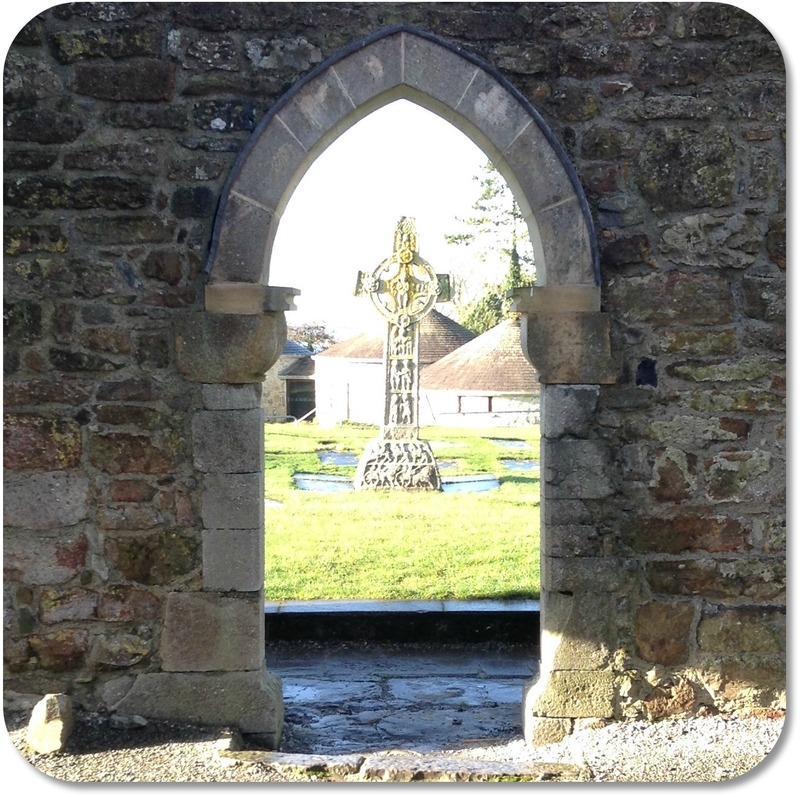 Dating back to the 9th century, frequented by monks, kings and the Pope - Clonmacnoise is the site of many fascinating historical events. And it is lovely. 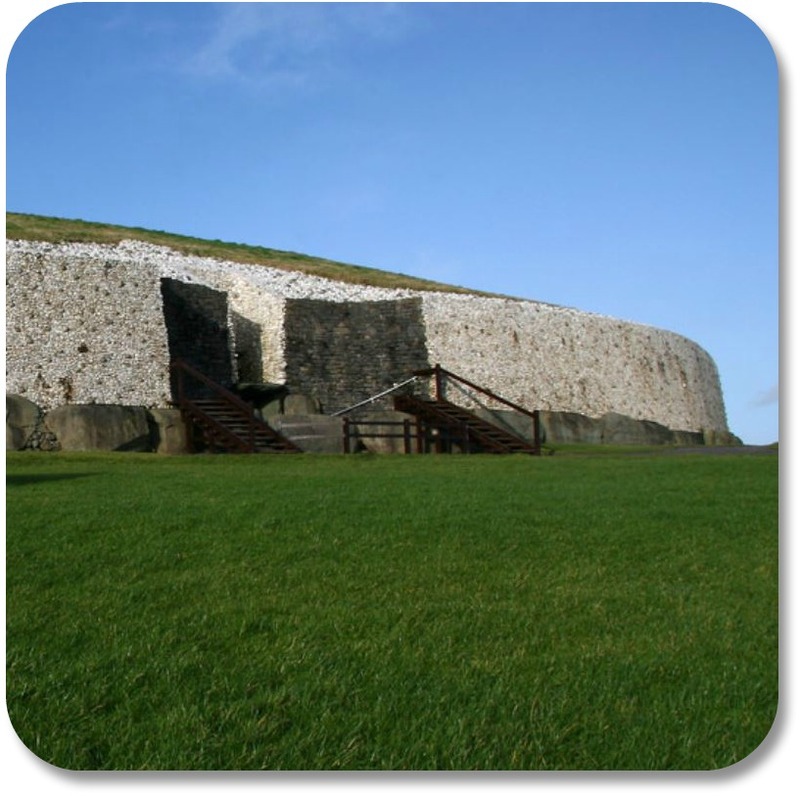 Click on the image to add this fascinating landmark to your Ireland sightseeing tour. 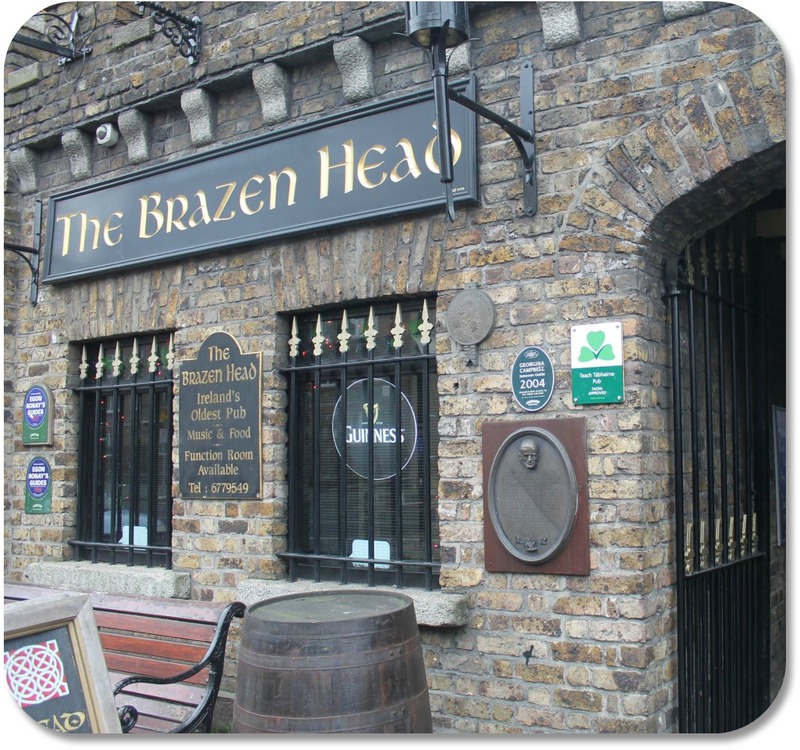 Billed as the oldest pub in Dublin, Brazen Head is an easy choice for top 10 'must see' locations in Ireland. At least for me! Because you see, I love the friendly and joyful atmosphere that is common at Irish pubs. 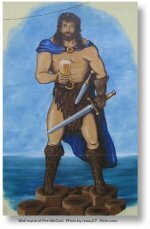 Here you will find good traditional food, live music, interesting artifacts - and good Craic, every day. Want to know more? Click on the image! Wherever it came from, it is a sight to behold! And the stories that surround the Rock make it easily one of the top 10 stops on our Ireland sightseeing tour. 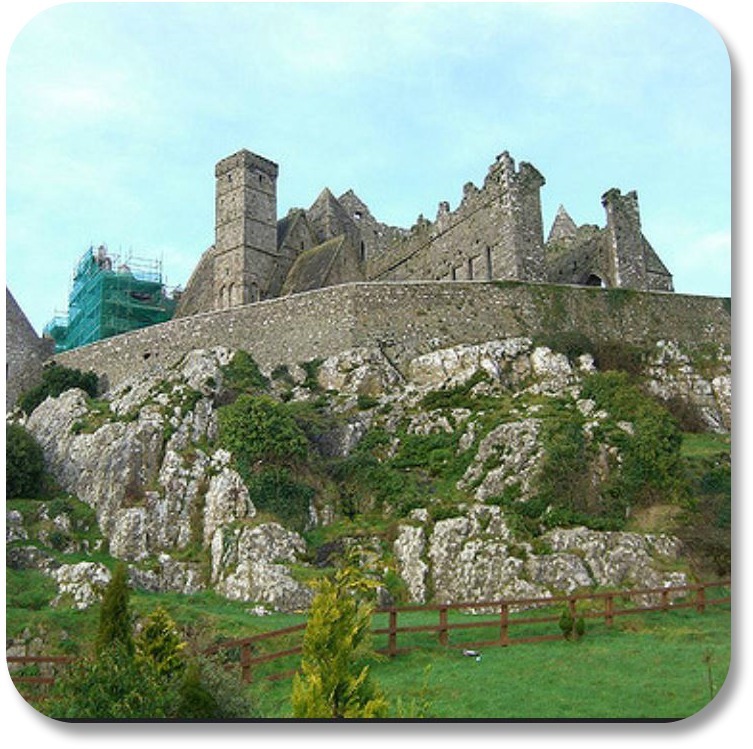 Click on the image for lovely pictures and interesting facts about the imposing Rock of Cashel. And never mind that it is a remote island, and that is ... well ... pretty cool. 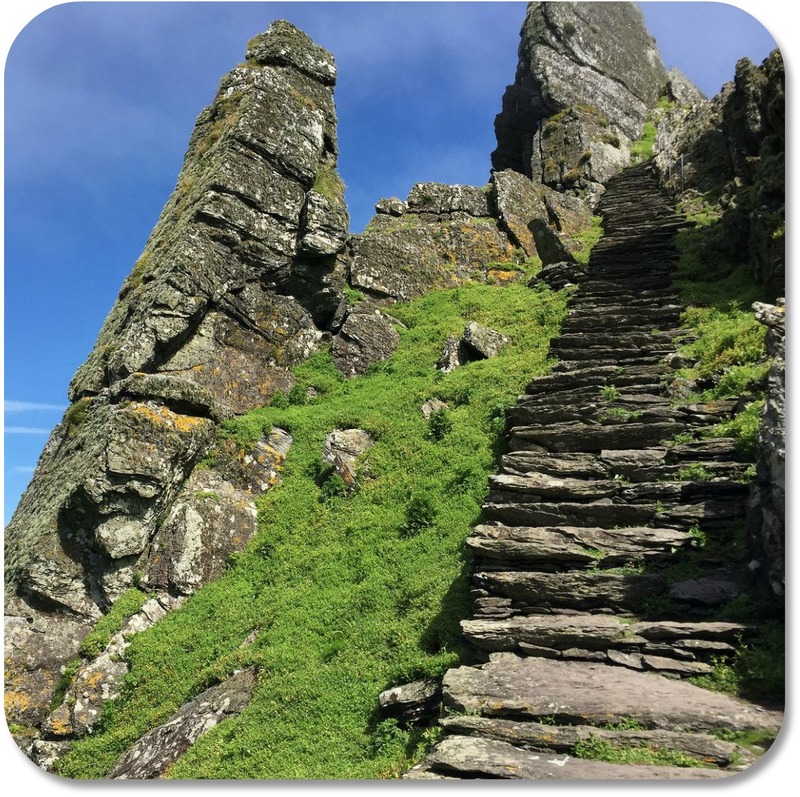 There are many more reasons why Skellig Michael makes our Ireland Sightseeing top 10 list. Want to know what they are? 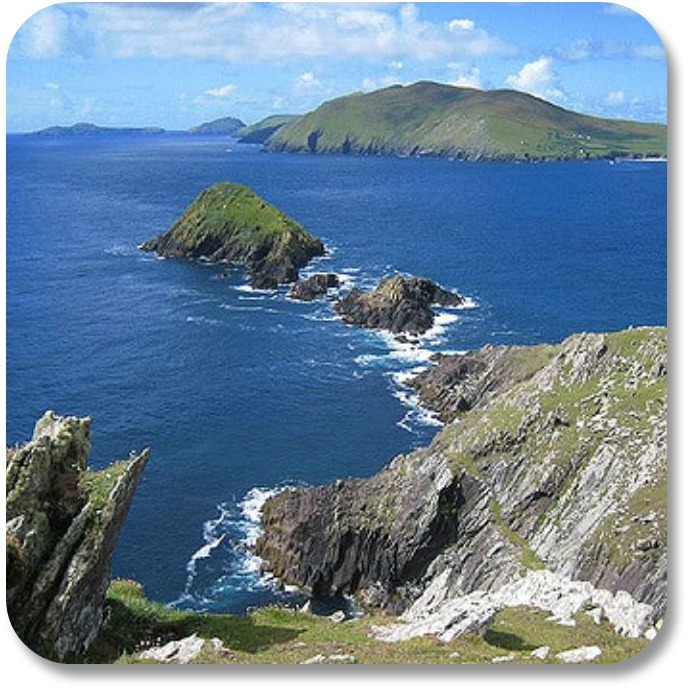 Dingle makes our top 10 list because it is one of the best places on the island to experience 'traditional' Ireland. 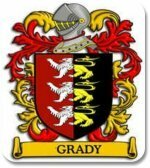 Residents speak Gaelic. A crucifix marks the tip of the peninsula, facing the sea. Foxy John's pub serves as a hardware store during the day, and a social gathering place at night. Most of all, the Peninsula is beautiful. Simply beautiful. Click the image to find out why! We have previously shared 10 of the most popular and important attractions for any Ireland sightseeing tour. But much of the mystery of the Emerald Isle lies off the beaten path! Click below to see 10 of Ireland's most secret attractions, courtesy of our friends at Exploring Vacations.com. By clicking one of the links below, you can check out all of the sites in Ireland that I have visited (and many that I still hope to see someday). If you would like to share your own story and / or pictures of your Ireland sightseeing adventures, please use our contact form, or visit us on Facebook! And yes, as you can tell... here at Irish Expressions, we do love Irish castles :-)… But that is not all. Have a look! If you have enjoyed our section on Ireland Sightseeing, you have probably been exposed to many of the most incredible landmarks the Emerald Isle has to offer. But even if that is not possible, you can still enjoy the magic of Ireland in these pages. 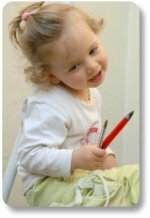 Check out the links at the top of the page for simple instructions on how to sing Irish songs, use Irish words, enjoy Irish food, and much more!